Yushi Hagimoto talks to Alexander “The Engineer” Lim, host of AuthorStory by alvinwriter.com about Mr. Ryuho Okawa’s book, Spiritual World 101: A Guide to a Spiritually Happy Life. Disclaimer: This interview was slightly different from other interviews conducted by AuthorStory, in that the person interviewed was not the author of the book itself, but has a good knowledge of the book and Mr. Okawa, the real author, as he is deeply involved with Mr. Okawa’s movement as a Minister. This interview also delves somewhat into philosophical and religious beliefs that readers and listeners may not necessarily agree with totally, and which may not necessarily reflect the views of AuthorStory. Ryuho Okawa had studied international finance at Tokyo University and worked in the United States for a time. He had a spiritual revelation when, one day at his home, he felt a presence around himself and felt a need to hold a pen, and this resulted in his writing out “Good news” several times through automatic writing. He wrote the book with the idea that, if death put an end to everything, life would be meaningless, but if we could take all that we learned with us into a life after death, then one’s efforts in life would be more meaningful. In this respect, the concept of “happiness” is more along the lines of “fulfillment,” where one’s own life is concerned. Yushi Hagimoto’s parents were already involved with Happy Science, but as a child and as a youth, he wasn’t really interested in it until he was drawn into Mr. Okawa’s view and vision at a lecture while he was a student. 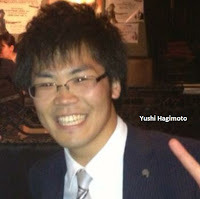 Once he graduated from college, Yushi then became a full-time member of Happy Science to attain the position of Minister that he presently holds. “Happy Science” is a direct translation of the Japanese phrase 幸福の科学 (kōfuku no kogaku). In Japanese, nouns and verbs can be used in the same way, so the intention behind the phrase is actually something along the lines of “‘Sciencing’ Happiness,” in that the scientific method is used to get to happiness. The movement, according to Yushi, is based on certain principles that could be applied to achieving happiness in one’s personal journey. According to Yushi, the book’s message is similar to other books on the afterlife that state that Heaven exists, where Heaven is happy and one can meet people who have already passed away. He notes that the established religions talk more about Heaven and Hell, while spiritualism deals with souls and spirits. Happy Science is a spiritual religious movement whose followers believe that there is both a right way and a wrong way to live, and in that respect it’s similar to the viewpoint of the established religions. The book, however, notes that there is a structure in Heaven and that scientists, professors and politicians likewise exist in Heaven, and that there are different levels to Heaven itself. According to Yushi, Mr. Okawa came upon this realization through a combined process of astral travel, where his spirit detached from his body to travel into the spiritual world, and also from what he has read. Given that Mr. Okawa is Japanese, it’s not surprising that such Eastern concepts as boddhisvattas, “the red string of fate” and spirits in animal form are presented as examples in his book, and Yushi noted that such concepts have equivalents in other cultures, such as black magic and sorcery as it is known in the West. Yushi also said that, according to Mr. Okawa, space and time are gifts from God, and without the concept of time there would be no evolution of one’s soul. Where the book is concerned, Yushi would remark to any who are interested in it that it’s a textbook for the afterlife, starting from the moment after death and then moving on to such topics as what happens to a person if he or she commits suicide, and could enlighten one, particularly if one has experienced death and has questions about it. Yushi believes that, if everyone reads this book, people would have a grander perspective on life, and that the world will be more peaceful, as people would have a perspective on life that isn’t limited to just one’s present lifetime. 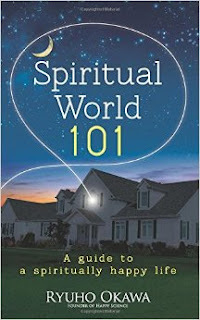 He also notes that love, in the context of the book, is essentially as the Golden Rule: “Do unto others as you would have others do unto you.” He believes that, a thousand years from now, the concepts and topics within the book will be common knowledge due to the spiritual awakening that is presently taking place. Yushi believes that everyone should read the book, particularly in the West in order to make the conversation of reincarnation common. 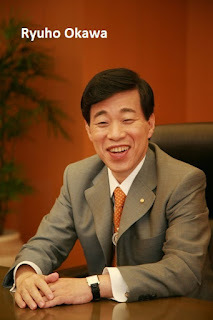 He also notes that Happy Science is a very innovative movement, with something new happening every year, and that Mr. Okawa is presently involved in interviewing spirits who have moved on into the afterlife, and some of these interviews can be found at spiritualinterview.com. Ryuho Okawa’s website is www.okawabooks.com.